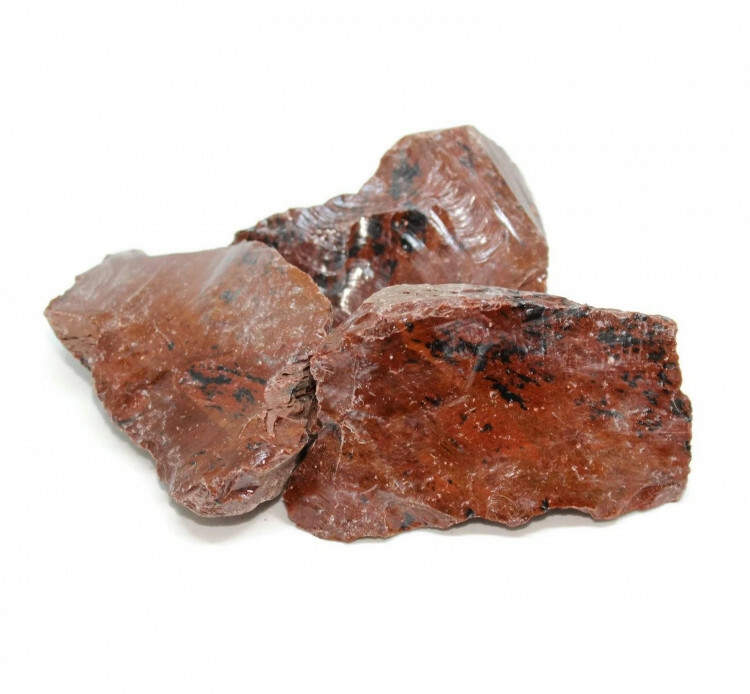 Rough pieces of Mahogany Obsidian, available in two packet sizes. 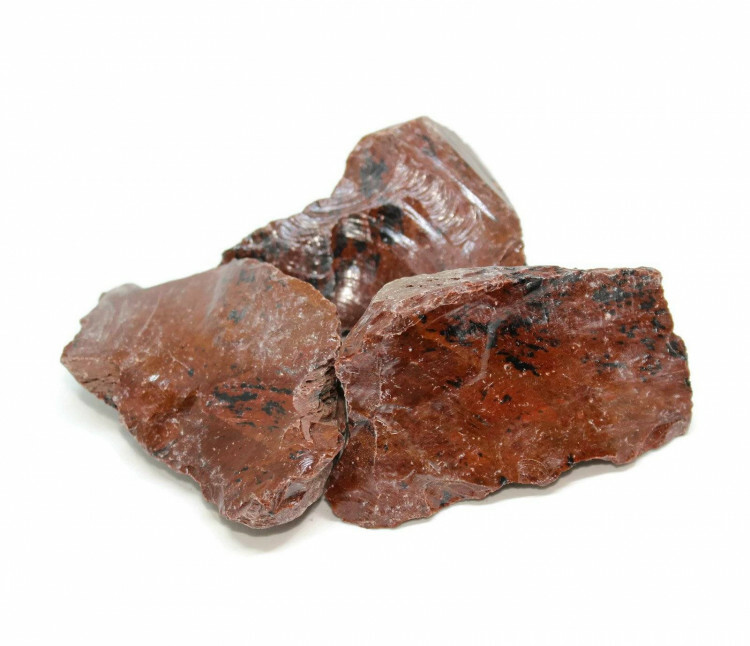 We sell single pieces of rough Mahogany Obsidian, and bulk packets of 1KG, which are intended for study or for lapidary usage. Mineral collectors or crystal healing practitioners will probably be most interested in our single pieces. Our kilogram bags, though – they tend to appeal to colleges and universities, for the geology department. 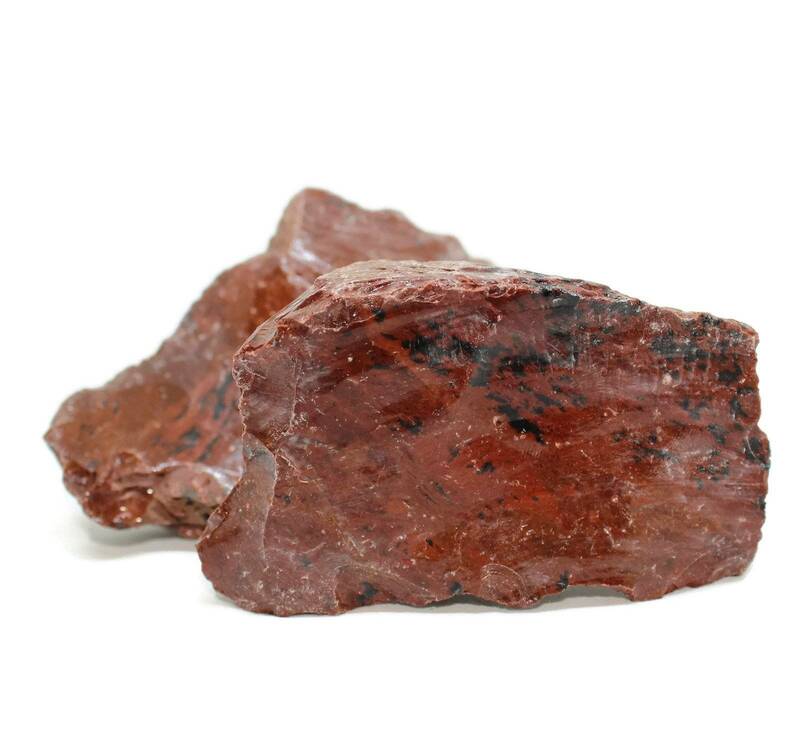 They are also used by lapidarists and rock tumblers, to create gorgeous polished stones. Obsidian is a volcanic glass, and because of that, if it is broken, it can be extremely sharp. Our kiloogram bags are rough pieces in a thick plastic bag and I’d expect some broken and jagged pieces. Be careful when handling! 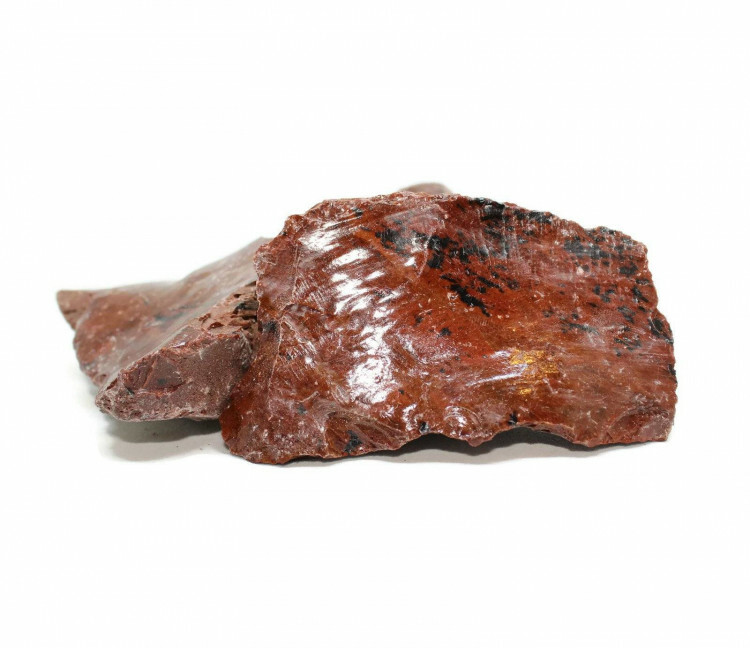 For more information about Mahogany Obsidian, and a full list of all of our related products, we suggest looking at our ‘Mahogany Obsidian’ page.